General Motors Co. to payback the US and Canadian Governments Loans. US auto giant General Motors has officially announced the repayment of its $5.8 Billion loan by the end of June ‘10. The loan is from the U.S Treasury and Export Development Canada, both of which currently hold Equity Shares in the company. The Detroit- Hamtramck and Kansan City factories will be updated with an investment of $ 275 million. The update will enable the plants to manufacture the Next Generation Malibu slated for release next year. On Wednesday, Mr.Whitacre addressing the Kansas City plant said that it will receive $136 million of the investment as the plant will be the prime manufacturing site for the Malibu. As per the Automotive News Data Center, the new Chevy Malibu has a 53 day supply and Buick LaCrosse a 43 day supply, and the Kansas plant is working 3 shifts and on Saturdays to build both the cars which began production in April to maintain a 60 Day supply level as recommended by analysts. The Buick Lucerne and Cadillac DTS sedans currently being produced at the Detroit Hamtramck plant will be downsized this year to accommodate the production of the Chevrolet Volt plug-in sedan, to be released in the fourth quarter of ’10. The Hamtramck plant investment of $121 will assist in the production of the Malibu in period of spike in demand. Nissan Juke, Nissan Juke, Nissan Juke! Beep-Beep! Watch out, everyone, the 2011 Nissan Juke is heading your way! The Juke, a production model of Nissan’s Qazana that was showcased at the 2009 Geneva auto show, is a vehicle aimed at, “the attention-seeker, aggressive kind of guy,” says Larry Dominique, Nissan’s U.S. product planning chief. It is not your typical kind of family SUV. The center consol is designed to look like a gasoline tank of a motorcycle (with a dashboard that changes color! ), and the exterior has extreme curves with a coupelike roofline. The Juke is powered by 1.6-liter, tubocharged four-cylindaer engine, producing 180 horsepower and 180 pound-feet of torque. All wheel drive is available, as well as a six-speed manual. The Juke’s selling price will be under $20,000, sitting right below the Rogue. I have added some photos of the Juke for you to take a look at. Also, go to the Juke’s interactive website to check out all of its specs and see a 360 degree view! Nissan Motor Co. will sell the Leaf electric car for a base price of $32,780 in the United States and begin taking orders on April 20. When combined with a $7,500 federal tax credit, the Leaf will be priced at $25,280, the automaker said in a statement today. State and local credits can further reduce the cost to consumers, Nissan said. Early on today, the automaker also said it would sell the battery-powered Leaf hatchback starting off at 3.76 million yen ($40,640) in Japan, where it is also counting on government subsidies to slash the cost to consumers. Nissan said it aims to sell 6,000 Leaf cars, its first mass-volume all-electric model, in Japan for the year ending in March 2011. The company will start taking orders for the model April 1 in Japan, with the first delivery expected in December. After accounting for Japanese government subsidies, Nissan said the net cost to consumers to buy a new Leaf would be near 2.99 million yen ($32,373). The Leaf pricing also represents a premium over established, combustion-engine powered small sedans, such as the Honda Civic and Toyota Corolla. Analysts have said the premium reflects the cost of developing and producing the Leaf’s lithium-ion battery pack. The cost of batteries and the reluctance of consumers to pay more upfront for fuel-saving technology are seen as the major hurdles to mass-market adoption of electric vehicles. Toyota Motor Corp.’s gasoline-electric Prius hybrid, now in its third generation, has a base model starting price at just over 2 million yen ($22,195) in Japan. After trailing rivals Toyota Motor and Honda Motor in the hybrid field, Japan’s No.3 automaker has bet heavily on pure electric vehicles along with partner Renault SA of France. Nissan has said it expects that 10 percent of the world’s auto market will be electric vehicles by 2020, a ratio at the top of industry projections. The automaker has also announced a series of partnerships with utilities and government agencies in the United States and Europe where it believes it has a chance of seizing market leadership. The five-passenger Leaf is designed to provide a range of about 100 miles. Nissan has developed the battery pack for the Leaf with NEC Corp., so that it can be recharged overnight on a 220-volt connection. While skeptics abound, almost all major automakers are working on developing battery-run cars for use mainly in urban areas, to meet stricter emissions and mileage regulations being introduced around the world. GM To Create New Jobs and Produce More Equinox! On Friday, March 26th, 2010, GM announced a new way to produce more of its Equinox and GMC Terrains. GM is going to expand the CAMI Automotive plant in Ingersoll, Ontario to produce more Equinox bodies and then it will have those bodies shipped to the Oshawa plant for paint and final assembly. “This plan for CAMI and Oshawa allows us to meet customer demand for hot products while avoiding a potential production overcapacity situation by creatively using our assets and facilities,” said Mark Reuss, GM North America president. Reuss also stated that, “This agreement is pretty cost-effective and they could easily get 50,000 to 60,000 more units of … production…” Who doesn’t love the idea of having more Equinox readily available? Another great aspect to this announcement is the creation of 600 jobs for the Oshawa plant and 70 jobs for the CAMI plant! In a time of world-wide economic hardship, it is great to see a company re-opening jobs for people. wwwbobmaguirechevrolet.com is the website specially designed for this New Jersey Chevrolet dealer. The features of this site are quite striking with spectacular pictures as main part. This was founded in 1977 and family owned prestigious automotive dealership group. This particular dealer is famous for its reputed services for many years by offering largest selection at best prices. Maguire Auto group customers are happiest buyers with best price and best services. Featured vehicles are the main attraction of this site. These featured vehicle posts gives all the information about those featured cars in all the needed aspects. There is nothing gave a miss in the feature for a person who is looking for a best pre-owned car. Maguire Auto group offers new models as well as pre-owned to their customers to their satisfaction. Financing facilities are best way arranged to the customers here as an additional service. Their new models include trucks, hybrids, couples, crossovers, sedans, SUVs’ and vans with reviews. An array of new upcoming models is also showcased on the website with more technical details. In the pre-owned category one can avail online inventory through this website. GM certified used vehicles are the specialty of the pre-owned car from this website. Luxury pre-owned is widely available here and can be verified on website too besides many other models which are almost less than $10K. Services are the important part of Maguire Auto group. Their service centre often serves their customers with best fuel solutions. The technical team here got a special team exclusively for BODY SHOP. Here Schedule services and recommended maintenances take place constantly for their customers. Customers satisfaction often seen here through their praising about what they got benefited. GM certified vehicles are specialty at this Maguire Auto group. This certificate is offered to vehicles under GM certified program here. For this a vehicle must be belong to before 2003, with less than 60,000 miles. Best part of this Maguire Auto group is easy access to their customers through particular number for particular division. All the staff to serve to the customers are well qualified and good professional. The organize way of operations with this company made them reputed with their customers since 1977. The well maintained business values with customers are main backbone to the successful existence. he 2010 Chevrolet Equinox is redesigned, A new look with freshened styling, new engines, and some new features. This 4-door SUV seats five and comes in 4 levels which are LS, 1LT, 2LT and LTZ trim levels. Chevrolet Equinox offers a choice of two engines. A 182-hp with 2.4liter 4 cylinder is standard. And a 264-hp with 3.0liter V6 is optional on the 1LT, 2LT and LTZ. Both the engines team with a 6-speed automatic transmission. The front-wheel drive and all wheel drive are offered on all models. The important safety features includes ABS, traction control, an antiskid system, front side airbags and curtain side airbags. Chevrolet calls the Equinox a compact crossover, but when you look at its dimensions, this CUV is in many respects more mid-size than compact. At 187.8 inches long. Chevy’s rationale for calling this a compact is the 72.5 inch width, which is 0.5 inches less than the RAV4 and two inches less than the Edge. So it’s really a “tweener” of sorts. However you define it, though, the Equinox is especially roomy relative to competitors. The features available are remote engine start, a navigation system, wireless cell-phone link, DVD entertainment, a hard drive for storing digital audio files, a rearview camera and a power liftgate. Chevy Equinox uses Chevy’s MultiFlex rear seat that can be moved 8 inches fore and aft to better accommodate different storage and passenger needs. The Chevrolet Equinox 2010 had the road test which includes a full evaluation from the inside out. The test is not only for engine and handling performance for 2010 Chevy Equinox, but also the interior cabin and cargo space. The test results ends in positive way which helps the customers to decide if the 2010 Chevrolet Equinox is right for you. The 2010 Chevrolet Equinox includes detailed information on everything from fuel mileage to seating capacity. 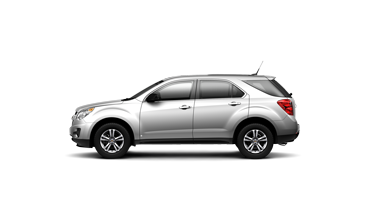 NHTSA crash test scores for the 2010 Chevrolet Equinox are provided as well as manufacturer warranty information. The results based on a 35MPH frontal crash and 38.5MPH side crash. Results are reported in a range of one to five stars, with five starts indicating the best crash protection for vehicles within the same weight class. This test used driver and passenger belts and airbags.